Magento 2 Affiliate extension is one of the most effective marketing solutions for online stores. Affiliate programs help boost sales, increase traffic, bring back quality leads and better SEO rankings. Unlimited campaigns generated with smart referral links are perfect for multi-level marketing. By the easy way to understand, Affiliate Marketing brings a great chance to make money online when publishers called as Affiliates effortlessly assist the business in advertising your products, services or site. Just visit an online store, find the favorite item and then share as well as refer it to others. And the awarded prize is an amount of commission that is a piece of profit store owners as you give to them when a sale is created. Apparently, it is simple to know that Affiliate Marketing establishes subtly a beneficial relationship between store owners and consumers. The main advantage of having an affiliate program is that it is creating positive sales motivation. The commission as the reward each time an affiliate successfully invite a new purchase will be the great encouragement. They will try their efforts to get more successful referrals and earn more money. It means that the sales of the store will increase dramatically accordingly. Affiliate is a very cost-effective marketing method in online stores. Store owners do not have to invest a large amount of money to run an entire campaign. For each successful new purchase, the store owners only need to pay a small amount of commission to the affiliate. Besides, the affiliate is sharing more and more, as a result, this is the sounding way to branch out into the market. Compared to other marketing methods, recruiting affiliates to your campaigns will improve the traffic scale quickly and effectively. The more links to your store site, the more visitors visiting your site. As a result, you get more opportunities to convert those users into paid customers. Many links back to a store site will add more value to your sites on search engines. Besides, outside resources referring to your site will contribute significantly to SEO efficiency. With the support of affiliates, the business’ service or products can easily come across the target audience in the online world. As a result, affiliate marketing is a good way to expose your brand, create the impression and build up potential customers’ belief. With Magento 2 Affiliate by Mageplaza, as administrator, store owner can generate Affiliate programs as many as possible without limitation. Each campaign will be assigned to specific Affiliate Groups and the exact duration if you need. 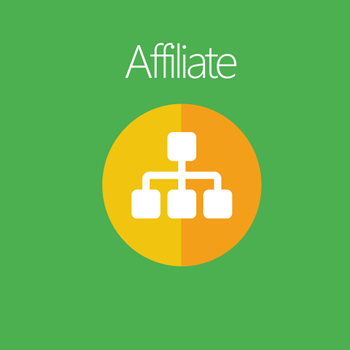 From Pro Edition, for each campaign, store owners can add unlimited tiers and set the different levels of commission according to each tier of Affiliate network. For example, besides getting 10% value of an order that Tier 1 creates, store owners also allow their Affiliates receive 5% value of the order from Tier 2, even Tier 3 or Tier 4 depending on your strategy at this time. The larger Affiliate network, the more commission Affiliate can earn. The commission withdraws can be automatic or requires permission from admins. 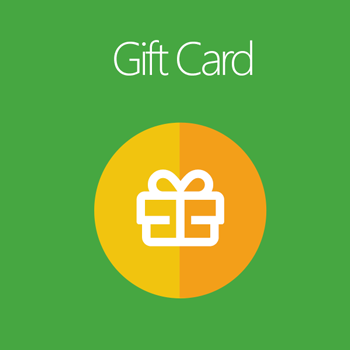 Besides, store owners can set the expiration time for the commission. Affiliate Pro Edition allows putting the banners and links right on Affiliate’s personal pages and earn money per impression/ click instead of seeding link manually. With Affiliate Ultimate Edition, store owners can have the report of all the data related to affiliate actions. Therefore, store owners can get to know clearly all information periodically including Best Sellers, Accounts and Sales. Noticeably, the report function is also compatible with Mageplaza Advanced Report with the statistics on Top Affiliate, New Affiliate, Bestseller Affiliate, and Affiliate Transaction. To support customers to backup Affiliate data when there is any change in the system, the Import and Export functions are added. The stores can import the affiliate data from other systems as well as export current affiliate data with ease. API is supported in Affiliate Ultimate Edition, which allows the users to get a list with all their offers in the selected format (JSON) with the payout showcased in the selected currency. The list can be filtered by status (pending, approved, or cancel), order, account affiliate, transaction, withdraw and campaign; add new account affiliate, withdraw; delete account affiliate, campaign. Hash or Parameter style for Affiliate URL. The commission is based on the percentage of grand total and Fixed amount. Enable earning commission from tax or shipping fee. Sending emails when there are any updates on commission balance, transaction. Q. How many programs can I create at the same time? There is no limitation to the number of programs (campaigns) you can set up in the backend. Q. How many Tiers can I create for a campaign? In Standard edition, the number is one. In the Pro and Ultimate editions, you can create multiple tiers as you want. Q. In which ways can the commission be counted? The commission can be calculated based on the percentage of grand total or the fixed amount. Q. How many payment methods can an affiliate use to receive the commission? There are 3 main payment methods including Paypal, Bank Transfer, and Offline Payment. Q. In case an affiliate order is returned/ refunded, can the store owner deduct the commission from the affiliate balance? Yes, the store owner can deduct commission from Affiliate' s balance when an order is refunded/ returned or canceled from the backend configuration. Q. In which step of purchase can the commission be eligible? Q. In which way can an affiliate send the referral link to others? They can copy-paste the URL links to any destination, send emails, share on social channels, embed snippet on affiliate websites or insert a banner with this link (supported in Pro and Ultimate editions). Q. I am a store owner. Can I get reports on affiliate information? Reports function is well supported in Mageplaza Affiliate extension. Store owners will have the data on Best Sellers, Accounts and Sales in details. Q. Can I import the affiliate data from other systems? Yes. Affiliate by Mageplaza supports importing data on Affiliate Account and Transaction from other systems from the backend configuration. Q. When the affiliate would like to withdraw commission, can a store owner approve/ disapprove this withdrawing? Yes. Store owners can give or disapprove the permissions for the referrals to withdraw commission. Its very good extension for marketing and get more sales. Thanks for mageplaze for the lovely extension. Easy to install, easy to use and pretty self-explanatory. I recommend this extension to anyone got online store. Great extension but it doesn't have like the one in Amazon to share a link. Very good backend for publishers. Simple installation and very good instructions. I ordered more extensions and I hope they modify it. Very good extension and the best service. Thank you for the excellent service and especially Desmond for being proactive, flexible and professional in solving the issues we had initially. Desmond really knows what excellent service means. At this point, we have resolved them and are getting ready for a demo with the client. Thanks! How this extension work is the most important. It uses the cache to track the customers and affiliate dashboard and more. I found it the best in this field and really happy to have it in my store. I highly would recommend it to everyone. Thank you, Mageplaza. This extension helps you to build your own Affiliate Network very well with lots of great features. Unfortunately, it is not possible that Affiliate can create own links to specific products like on the Amazon Partner network. We are just starting to get to know this extension, but so far we are happy with easy installation and setup. It basically replaces Affiliate setup which is usually mostly based pricing. I'm looking forward to getting to know this extension better. Easy to install, easy to use and pretty self-explanatory. We encountered a minor issue along the way and support was fantastic, they addressed it within 12 hours. No issues after that. Great extension I've been looking for for a long time. Very good backend for publishers. Simple installation and very good instructions. I ordered more extensions and had a positive experience everywhere. Great extension, Had a few little problems setting up but they fixed it ASAP. Great costumer service and i would recommend Mageplaza to any one looking for good quality magento extensions. You guys are awesome. Thank you for the assistance! I have to say that there isn’t any extension can get me more pleasure. Thank you Mageplaza! I am attracted by the superior feature list though being a little perplexed for the first time using. Mageplaza support team helps me answer thousands of questions without a doubt. What a great work! Leading product with the enthusiastic support team. I am pleased so far. The feature milestones are the most amazing ever! This special feature helps me build the loyalty of my Affiliates and I don’t need to busily find new publishers. Mageplaza’s extension is always number 1! This extension makes an enormous change in my store. Traffic site and leads are boosted x3 times than before. Thanks for the awesome module guys! With a combination of plug-ins and the right settings this can be a very powerful Affiliate solution. The support had issues for a while, but they had technical problems with their ticketing that seems to be fixed now. When you do contact support they are very good at helping with issues. Public and Private affiliate campaign for specific affiliate groups.